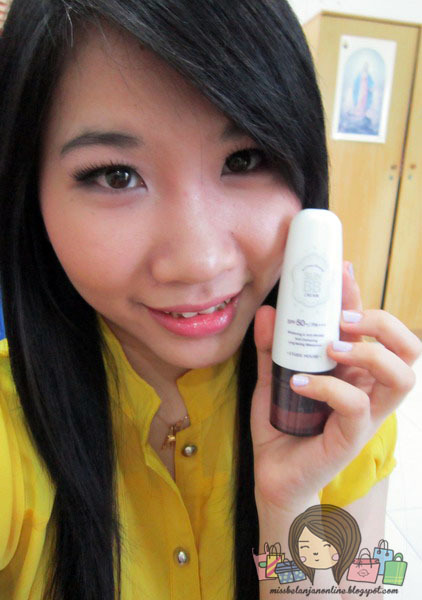 Good morning girls~ new BB cream review is here! 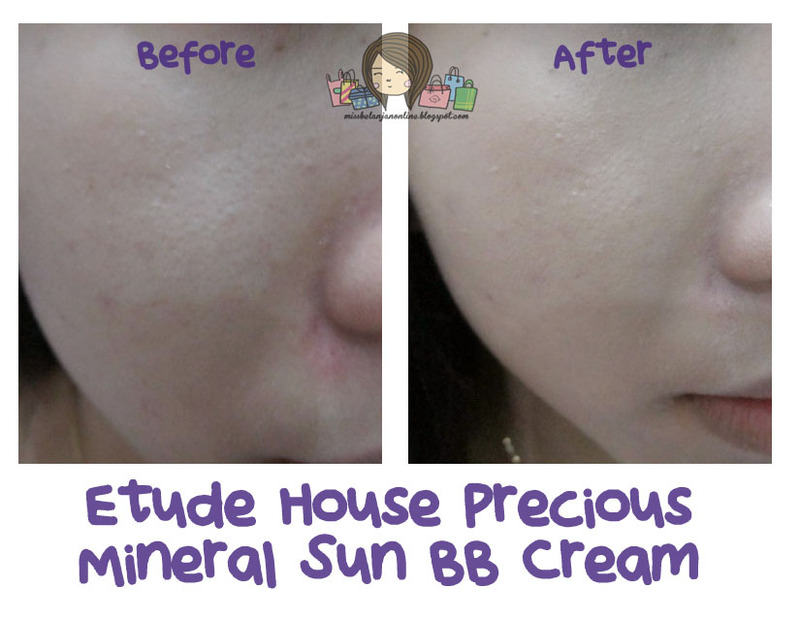 You know, I'm a little obsessed with BB cream~ This time I will talk about Etude House Precious Mineral Sun BB Cream~ I got this from Etude House event back on February. Like you can see, the packaging is quite unique because it has a sponge applicator attached at the bottom of the bottle. The main color of the bottle is white with sparkles decoration on the middle of the packaging. The cap is a transparent dark purple color. The bottle itself looks hard but it is squeeze-able. You can remove the sponge applicator, if you don't want to apply with it. I think the packaging's idea is quite useful. 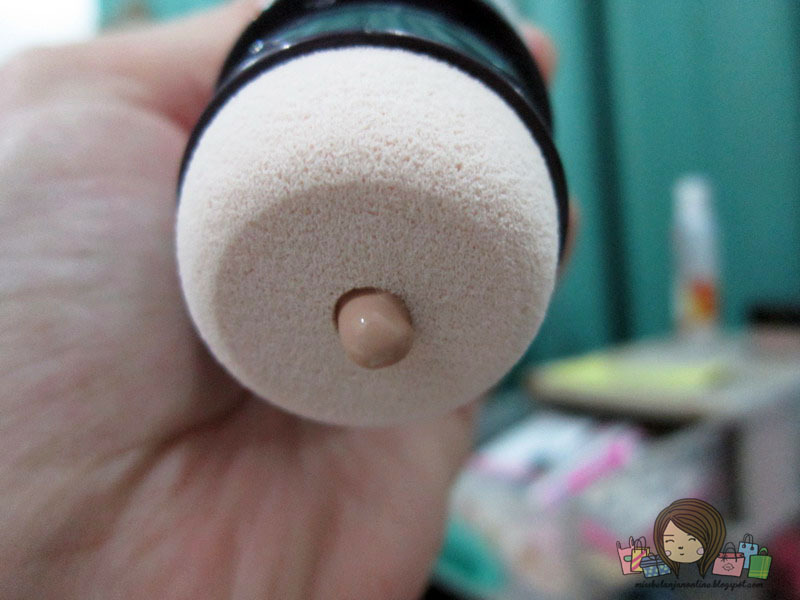 Because, we don't need to bring another sponge/brush if we go travelling. It already has it on its packaging! 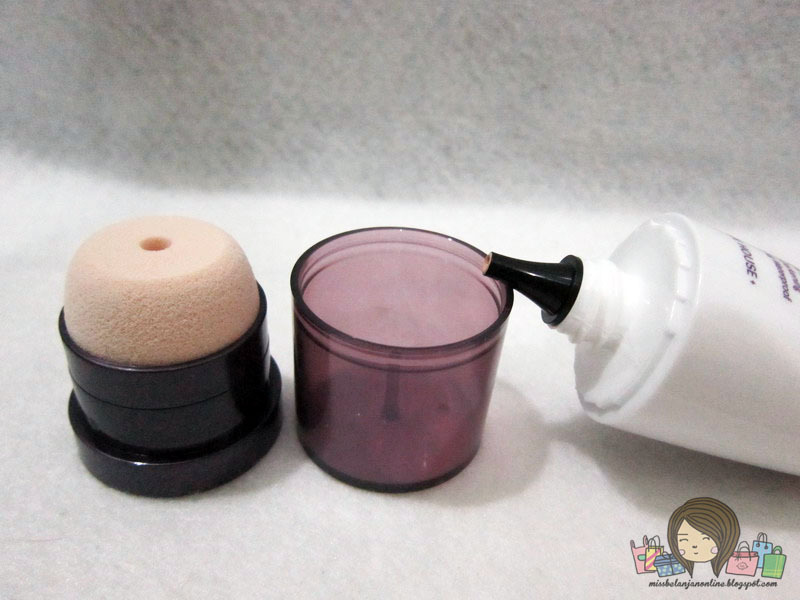 To use the BB Cream, just squeeze a little amount on the back of your hand, the make dots on your face and blend it with the sponge. Just remember to wash the sponge regularly to make it free from germs. I heard Etude House also sell the sponge applicator itself (without the BB Cream) in case you're to lazy to wash it. 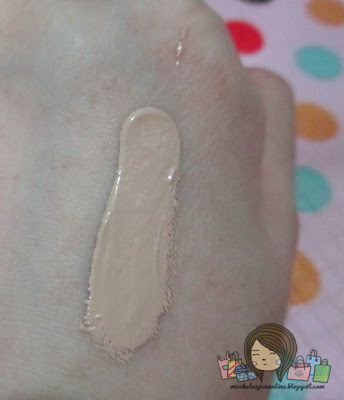 The texture of this BB Cream is quite thick and has a dark color compared to my skin. 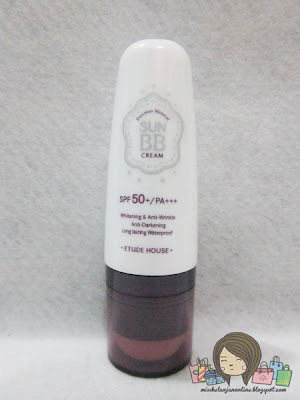 But, like always BB cream color always changed its color after some time. 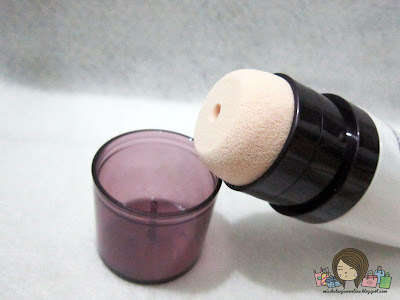 After blend it well and wait several minutes, it adjusts to my skin color well. 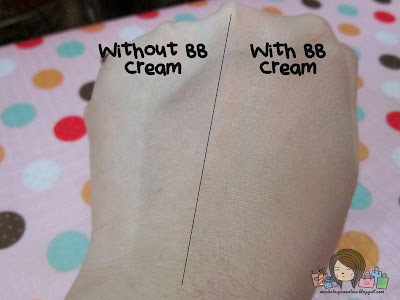 The finish result for this BB cream is dewy~ and because it contains a high SPF, somehow I feel a little greasy and heavy on my face. The coverage is medium and buildable. It covers redness and my acne scars quite well. However for the oil control isn't really good for me. My face tends to get oily after 2,5 hours. It works better if I use primer under it. 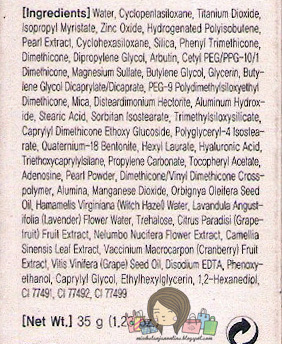 But, I think it will more suitable for people with dry skin. 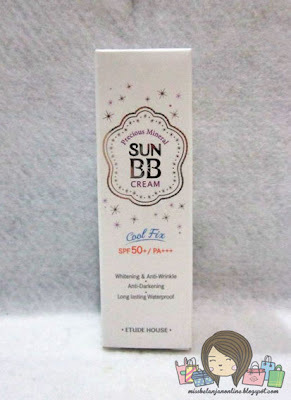 If you have dry or normal skin and too lazy to put sunscreen before your make up, I think you need to try this BB Cream. Though, I don't really recommend this for oily skin people, but if you want to try it you can use primer before apply this BB Cream. I use my Etude House Good Bye Pore Ever Primer and so far it works good on my skin. Visit Etude House Indonesia Facebook and Twitter for more information about this product. Sha, masa kadaluarsa setelah dibuka berapa lama ya? di bagian belakang botolnya tertulis 12 M, jadi bisa bertahan selama 12 months/ bulan terhitung dari tanggal setelah dibuka. ah aku punya samplenya ini, yang natural beige W13, belum sempet make tapi, dan masih belum berani, takut keputihan dan bikin wajah greasy soalnya wajahku oily banget -__- apalagi Spfnya yahud sekali _-_. Wow, sounds interesting! 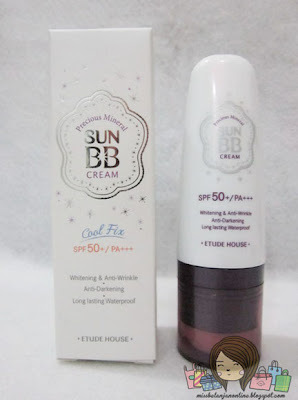 ^^ Have to read more reviews about it, since I'm not too sure about the color..
akirnya review bb cream lg ya sha..
Waa, aq punya ini jg, ce, shade aq w15, tapi masih kelihatan agak terlalu putih buat kulitku. 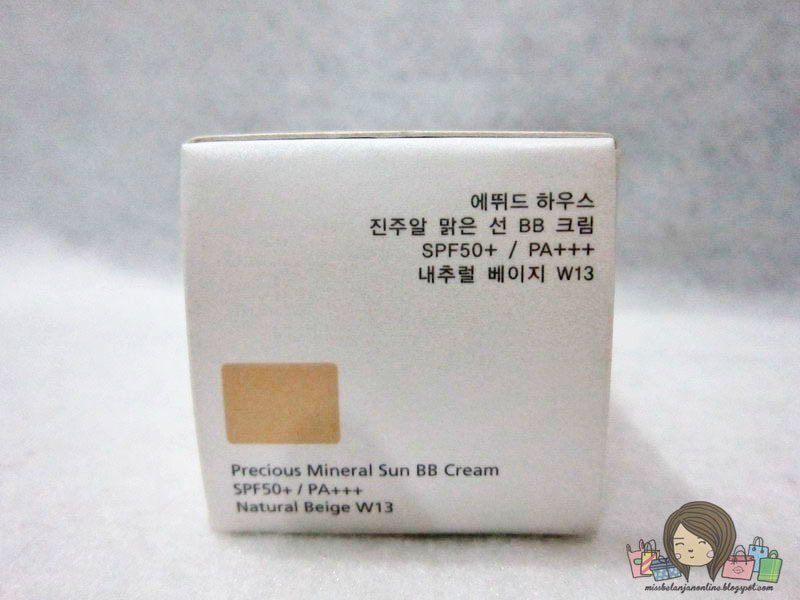 Soalnya biasanya pakai yg precious mineral bright fit w24. 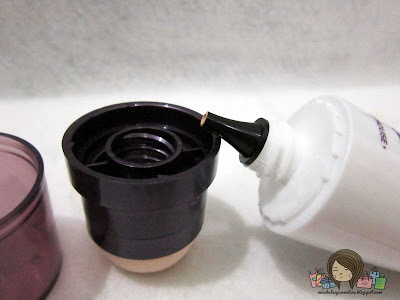 Sayang buat varian ini ngga ada shade w24.